Go into Experia USA’s Calming Sensory Cocoon and emerge a changed person! 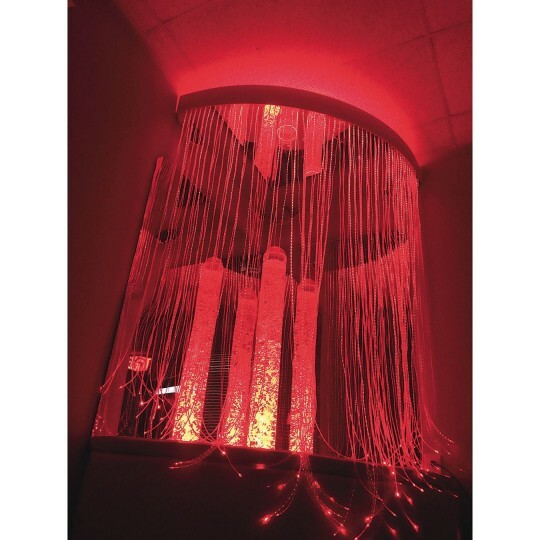 Climb through the curtain of light onto the platform and snuggle up to the bubble tube. Watch the bubbles slowly rise through the water, feel the vibration, and get your internal motor to that just-right place. Glance upward into the acrylic mirror on the ceiling and see fiber optic strands continue ‘into’ the ceiling and watch the bubbles seem to come at you! The Sensory Cocoon also includes the safety and maintenance items needed to keep your equipment safe and functioning for years to come. The Sensory Cocoon also utilizes the latest LED technology to produce vibrant colors that never fade, and because it’s LED, there’s no lamp to change making this unit almost maintenance-free! The calming model slowly changes colors on its own and is a perfect place to de-escalate and relax. Measures 48”W x 48”L x 72”H. 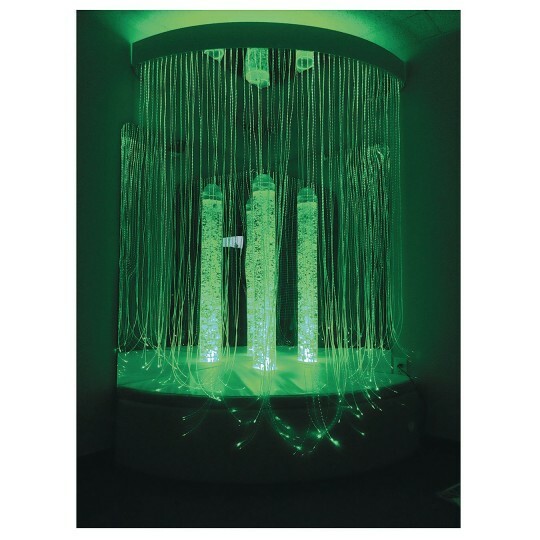 We have combined some standard sensory room products with our newest innovation to create the Sensory Cocoon! 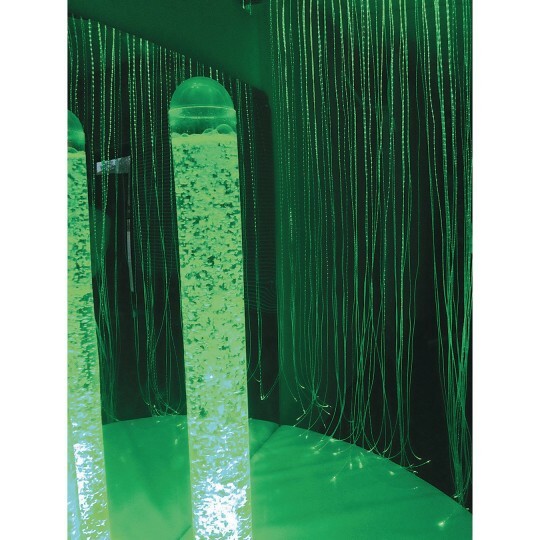 The bubble tube is the anchor point for many sensory rooms, and by combining a bubble tube, platform, and mirrors with our new Corner Sensory Shower, we have created a one-of-a-kind sensory experience. Think of it like surround-sound for your eyes. You must have a floor to ceiling height of at least 8’ for this product. 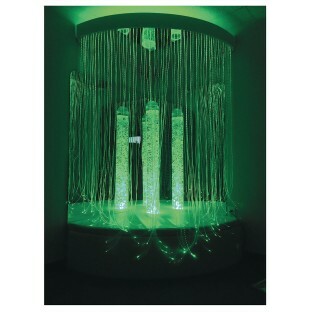 The Sensory Cocoon is also available in Superactive (193336) and IRiS (19346) versions. Assembled Width 48" Assembled Height 72"